CellAntenna Corporation was commissioned by a major hospital corporation with over 275 facilities nationwide to help one of its larger facilities in South Florida to develop a fiber Distributed Antenna System (DAS) for T-Mobile, Sprint PCS and Verizon Wireless. The system we designed would utilize the existing fiber backbone already installed as part of the initial construction of the building. Hospitals notoriously are some of the worst environments for radio frequency (RF) coverage. Due to the age of the buildings and the use of lead-lined rooms, tiled walls, fluids and lots of metal, they are challenged with multi-path – signal distribution by multiple pathways causing poor signal quality. Poured concrete pan construction of new hospitals also tends to keep signals out, and the reflective glass that is designed to increase energy efficiency by keeping heat and cooling from leaving the building also tends to keep mobile signals from penetrating into the building environment. Just as the use of wireless local area networks (LANs) is exploding in healthcare, so is the use of mobile phones, broadband adapters for laptops, and handhelds such as Blackberries and iPhones. The facility that required the Distributed Antenna System (DAS) is one of the larger facilities in South Florida. The building itself houses Base Stations for both AT&T and Metro PCS which cause challenges. Due to the environment it was critical that the carrier’s coverage within the building was uninterrupted and built to a strict requirement to ensure seamless communication. The system provided coverage for over 520,000 square feet on four floors. This consisted of a main hub unit which used ten optical remote units for signal distribution. The total system included 106 ceiling mounted distribution antennas which were strategically placed to combat the building construction challenges. 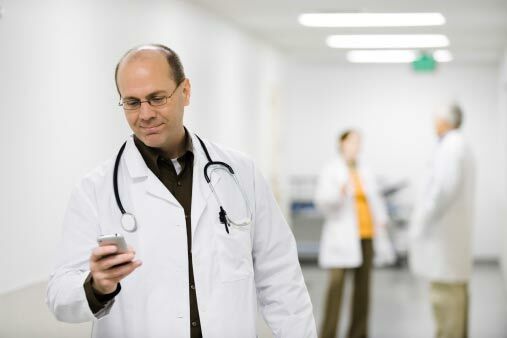 Physicians increasingly need to stay in constant communication via either their mobilephone, Blackberry, or a tablet device like an iPad. Wireless medical device applications are also coming online in such areas as telemetry, transport and infusion pumps. Many forces are driving this trend toward enhanced in-building wireless communication. New ordinances are being enacted that may or will require mobile and or public safety coverage for new building construction. In certain parts of the country a Certificate of Occupancy may not be issued to any structure if the building fails to offer adequate coverage. The use of a Distributed Antenna System (DAS) will greatly lower the power output of the mobile device reducing the risk of any interference. Poor coverage inside a building means that a mobile device has to transmit at a higher power setting. The use of DAS in healthcare will actually decrease electromagnetic interference and also improve not only signal but battery life of these devices. A new era has arrived whereby physicians, patients, and their families are demanding to use these devices in the hospital. Hospitals often require coverage for other services as well, such as in-house mobile radios, paging and emergency responders. Typically the healthcare customer wants in-building wireless coverage from all carriers and frequencies. In this day and age everyone uses a mobile phone that requires reliable signal. 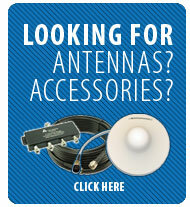 A Distributed Antenna System (DAS) is one option for providing such coverage.